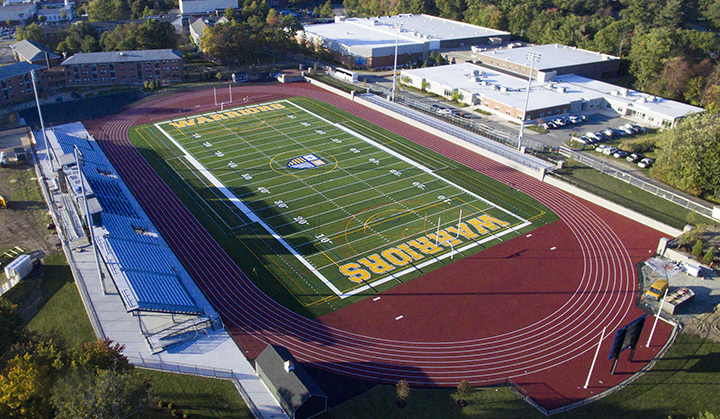 Huntress Sports provided master planning, engineering, design and permitting of a new athletic field complex at Merrimack College in North Andover Massachusetts. Working with the Athletic Department, HAI reviewed the athletic program needs, developing a Conceptual Master Plan and preliminary costs estimate for the new facilities. 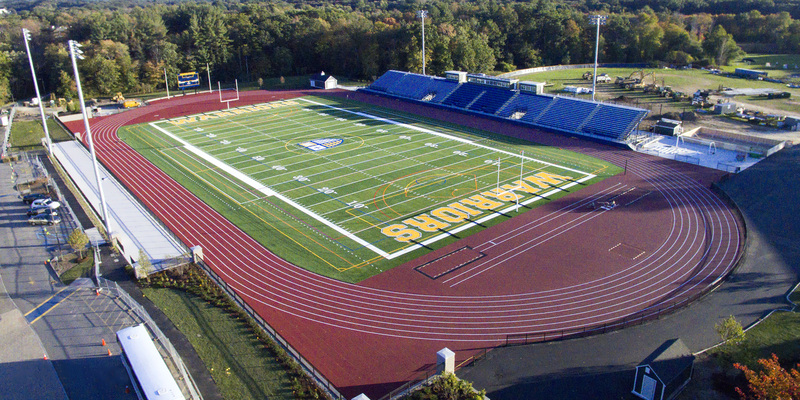 The athletic program includes an 8 lane 400 meter track, multi-purpose synthetic turf field, sports lighting, 2500 seat grandstand, NCAA baseball field and renovation of the existing football field with associated boardwalk, walkways, storage buildings, visitor's plaza and planting design. The project team secured all local permitting including Planning Board and Conservation Commissions in both the Towns of Andover and North Andover. The total project cost was $7.5m and construction was completed on time and within budget.